Revealed: The Truth About Skin Serums! The world of skincare is not just confusing but also punishing on the pockets. So, with each new addition to the already significant melee of products and processes, most of us are left wondering if we actually need more. At least that is what I was thinking when trying hard to justify the exorbitant price tag of a skin serum I wanted to buy. Facial serums are not just the new kids on the block, they also happen to be the most expensive formulations in the market. And boy do they promise the world? Yes, there is a skin serum out there for just about every notorious and adamant skincare problem known to mankind. From caviar to plant stem cells and from saffron to sea weed, the ingredients in these formulations run the gamut. The more exotic the ingredients, the higher is the price tag. Actually, even for the most affordable products out there, buyers shell out $50 or more for what can only be called a minuscule quantity. Consider all of this and it is understandable if you are already mouthing the question – are serums really worth the trouble and the money? Get the answer to this and other questions below. Tell Me Again, What Exactly Are Skin Serums? Imagine a concoction prepared by mixing super effective vitamins with essential oils, active botanicals, moisturizing compounds, hydrosols and other ingredients – that is what a face serum is. What sets these formulations apart from other skincare products is their rapid ability to penetrate completely and deeply into the skin and deliver active nutrients where they are needed the most. The unique thing about serums is the low molecular size of the ingredients used in these formulations, which enhances their ability to deliver a concentrate of the active compounds deep within the dermal layers. Additionally, these preparations are noticeably light weight, which means they don’t just sit on the surface of your skin. Instead, they get past the skin’s lipid barrier and start seeping into the dermal cells and layers within minutes of application. If You Already Own A Cream Or A Moisturizer With Many Beneficial Ingredients, Why Bother With A Skin Serum? The most conspicuous difference between a serum and a face cream/moisturizer is the weight of the product. Moisturizers and creams are heavier and oilier. So, they do offer protection but this is done at the cost of absorbability. Simply put, a lot of those skin friendly ingredients never make it past the skin’s lipid barrier let alone seep inside the dermal layers. Of course, this does not mean you should be tossing your skin creams/moisturizer to make way for a facial serum. On the contrary, these two products can work synergistically to offer spectacular results. A serum will deliver the extra dose of nutrients and active compounds to your skin cells, helping them to thrive. Your moisturizer will fortify the lipid barrier of the skin, protecting the nourished dermal cells and keeping oxidants and pollutants away from the surface of the skin. This has the lowest lipid content and can be called a hosed down version of a serum in terms of ingredient strength. Make no mistake, essences are every bit as effective as any serum in the market. They are simply designed to suit specific age ranges and skin conditions. With their fluid texture, essences not only boast of greater penetrability but also more hydration. So, by now you may have guessed that these products are ideal for those with oily and acne prone skin and youngsters with few skin damage related issues. As far as their texture is concerned, they are gooier than essences and have greater ingredient strength than the latter. Usually, lipid usage in these emulsions is limited to 10-20%, and the oils included are lightweight. So, they get absorbed easily and you won’t have to deal with the oily residue that most of us have come to associate with skin creams and moisturizers. Rest assured, your serum will never be able to completely replace your trusty moisturizer. But, depending on the ingredients used, the product will leave your skin feeling dewy, nourished, hydrated and ready for more pampering. In terms of ingredient strength, these are the most potent products available in the market. We are talking about the most concentrated concoction of vitamins and botanicals here without any fillers or preservatives that interfere with their efficacy. In fact, these super strong serums are served in ampoules because a lot of these active compounds, like Vitamin C, degrade rapidly when exposed to air or light. So, each of the tiny capsules contains no more than a few drops of the concentrated serum that is just enough for a single application. Although some manufacturers do offer daily use vitamin C serum in the form of ampoules, these products are typically not meant for everyday use. Ampoules are usually formulated to deal with stubborn skin issues on the double and are so strong that you only have to use them once every few days or when dealing with extreme skin stress. 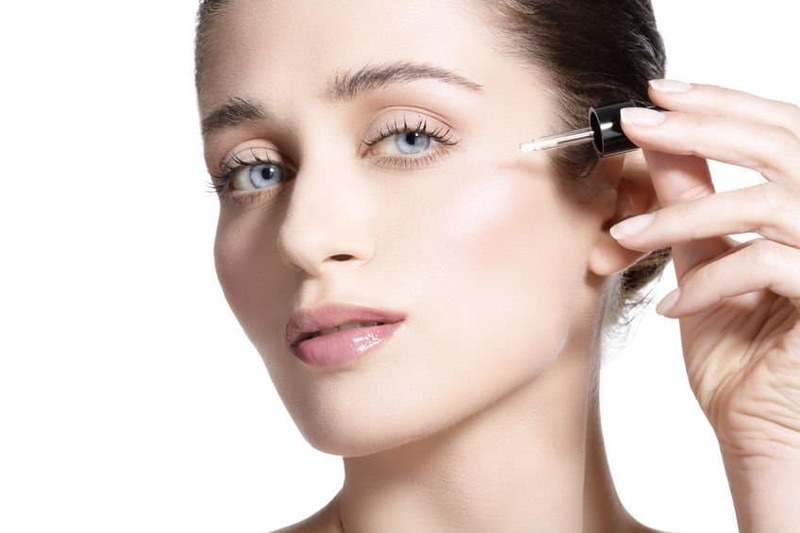 Serums to fight wrinkles: These usually contain ingredients that boost hydration and cellular turnover. Serums to improve skin tone: Apart from brightening agents, these products also have compounds that fight free radical damage. 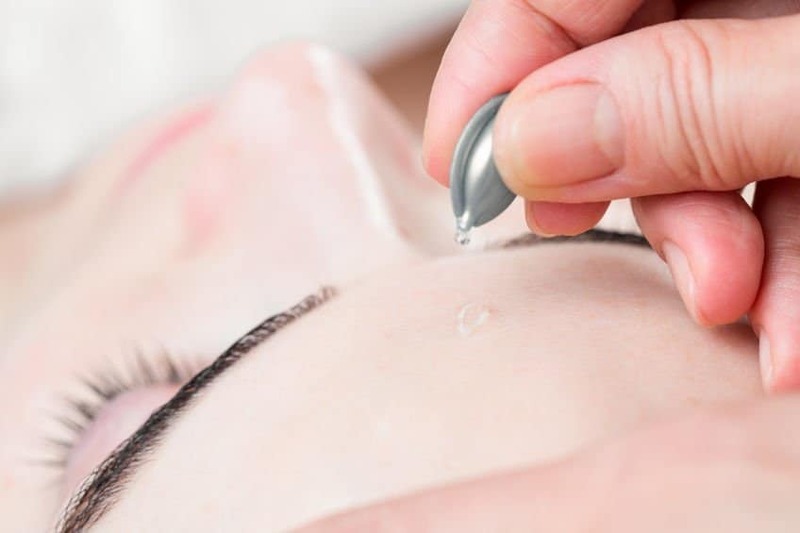 Serums that enhance dermal elasticity: Such formulations contain compounds that slough off the dead cells on the surface of the skin and stimulate the production of elastin and collagen. Serums that play a protective and restorative role: These usually have a higher lipid content than other comparative products since they help to restore the health of lipid barrier that protects the skin. Picking Your Serum Based On Your Skin Type And Conditions! If you battle incessant pimple attacks, pick a formulation that contains salicylic acid and zinc. While the first unclogs and keeps the pores clean, the mineral soothes the skin and lowers sebum production. Also, make sure that you pick an essence or a primarily water based formula as opposed to one that contains heavy oils. Hyaluronic acid is the go-to treatment for dermal dryness along with ceramides. The former is a humectant par excellence that will literally hydrate the dermal cells and the latter will help to keep the good stuff and the water in. Over time, the buildup of toxins, constant oxidative stress and the accumulation of dead cells will make your face take on a worn out and sallow look. To give your skin a new lease of life and youth, pick a product with ingredients such as retinol that sloughs of cellular debris and enhances cellular regeneration and vitamin C, which helps against oxidants as well as dullness. Regardless of your age, oxidative stress is something that will ravage your skin, just that the damage done becomes more apparent with age. So, a product that contains active antioxidants like green tea, fruit enzymes, vitamin E, resveratrol, grapefruit seed extract and others will help the young, the middle aged and the old. If you have a problem with oiliness, choose a lightweight, water based product that contains glycolic acid, retinol and/or vitamin C. These ingredients not only regulate sebum secretion but also keep the pores free of cellular waste and bacterial buildup. Because dryness and oiliness come together to create issues for this skin type, it is best to pick a neutral product that deals with both problems in one fell swoop. A formulation that contains a combination of vitamin C, ferulic acid and a lightweight, antioxidant moisturizer like rosehip seed oil works fantastically on combination skin. Instead of choosing a primarily hydrosol or water based product, choose a formulation that is a medium consistency emulsion, which will leave you with a glowing look. Ingredients such as pomegranate extract, ceramides, hyaluronic acid, peptides, combination of Vitamin C, B-complex, A and K work well on this skin type. The idea is to keep the skin healthy without interfering with its natural chemistry or physiology and that is what a well-made/balanced serum can do for you. Although vitamin A in the form of retinol is the poster child of most anti-aging formulations, the fact is that this compound works best when coupled with ferulic acid. But, both these compounds and even vitamin C are acidic in nature, so they are bound to cause some amount of dryness. This has to be balanced with the inclusion of potent and natural moisturizers such as plant butters and argan oil. If you have a problem with redness and dermal sensitivity, try a product with soothing ingredients like aloe vera gel, essential fatty acids, zinc, amino acids and niacinamide, which boosts ceramide levels, thus strengthening the natural protective layer of the skin. In between cleansing and other products is where your serum figures in the skincare regimen. Typically, start working with lightweight formulations like serums and then work your way up to the richer and oilier preparations. After cleansing, exfoliating and toning, while your skin is still slightly damp from the hydrating mist or toner, smooth on 2-3 drops of your serum all over your face and neck, including the area around the eyes. At first simply apply the formulation all over, using no more than 2 fingers. You can apply it with quick upward strokes or just pat the formulation all over your skin. Remember serums are expensive products and you don’t want to waste them on the tough skin of your palms. So, DON’T take the product in the palms of your hands and then massage it into your skin. Give your skin a few minutes to soak in the nutrient rich goodness. About 3-5 minutes should be enough, depending on the base used. Then, gently massage your face to further boost penetration and increase blood supply. If you have sensitive skin, simply press the formulation into your skin, using gentle downward pressure. Wait for 5 minutes before layering moisturizer and makeup on the serum. Top Ten Tips For Buying And Storing Your Serum! 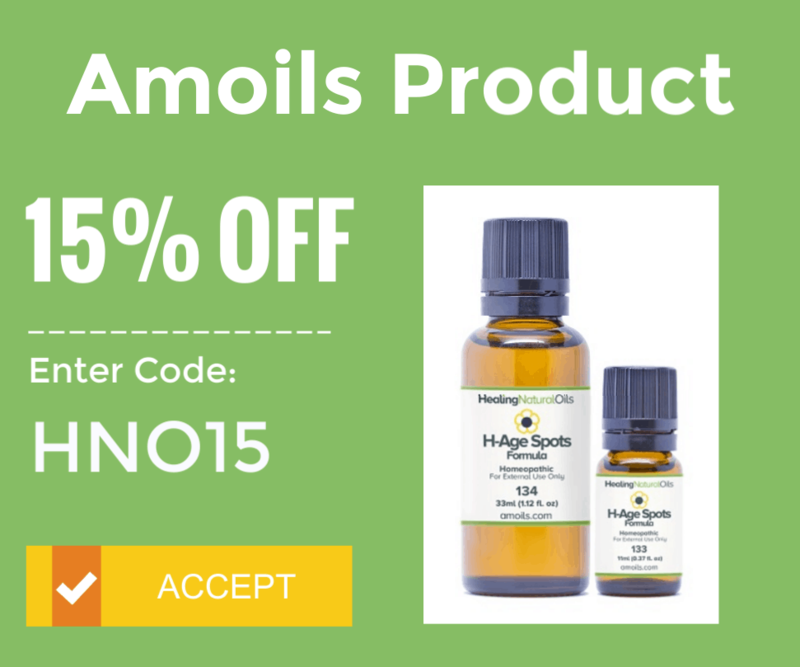 Check the manufacture date when buying a serum. Generally, these formulations have a shelf life of about 12 months. But, pick a product that is as close to the manufacturing date as possible. Although you only get a few grams of these formulations for the exorbitant price tag, they do last a very, very long time. Hence, get the most from your spending by buying fresh stock. Most of these formulations are either offered in a tube or pump glass bottles. The unique packaging is to keep the interaction between external conditions (read air, humidity and temperature) and the serum at the minimum. So, store these formulations in a cool, dry place and away from heat sources, sunlight and moisture. Applying anything cold and soothing on the skin after cleansing and/or exfoliation can itself help to keep the inflammation and redness in check and even deal with open pores. So, keep the serum in the refrigerator. This will make it last longer and it will feel better on your skin. Ideally, go for a product that is white, cream or colorless, particularly if it contains vitamin C. This is a nasty manufacturer trick wherein they color the formulation yellow or brown. The coloring is to camouflage the degradation of the active compounds; vitamin C turns a dirty dark brown as it goes bad. Do not ever use more than a pea sized amount of your serum all over your face and neck. In fact, that is the higher limit for you. Take my word on this, using more will not give you faster results. If anything, the concentrate of active ingredients if used in large doses may cause redness and even an allergic reaction. Always do a patch test with your serum, which is why it is highly recommended that you start with a small sized product and then invest in the larger product. Ideally, you should use your serum twice a day, once in the morning and once at night. However, your skin often needs time to adjust to super active ingredients like retinol. As a rule of thumb, start by using serums that contain retinol and acidic compounds once every alternate day and then work your way up to two applications/day. Also, some formulations are designed for night use. These usually contain ingredients that should not be exposed to sunlight. Even with a liberal coating of sunscreen, such ingredients are best kept out of sunlight. So, if the instructions on the product packaging read, “for night use”, reserve the product for bedtime. If you are already using a topical retinoid formula (like an anti-aging cream) do not couple it with a serum even if the latter does not contain retinol. The combination of several active compounds can cause skin irritation. Always consult your dermatologist when using any new product, including serums, if you have chronic skin problems such as rosacea or eczema. On a parting note, I just want to add one more thing – if you want results today or tomorrow, you need a miracle not a skin serum. Wait, don’t get those pitch forks out as yet! I still stand by my words that serums are the most effective skincare products available in the market today but they are not magic potions. Realistically, you should be willing to give them your diligent commitment for at least 4-6 weeks before assessing the results. 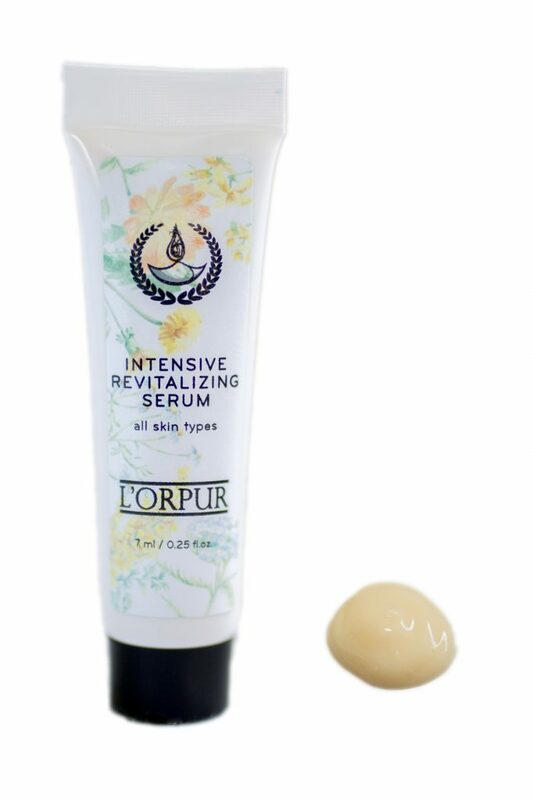 The 2 all-natural L’orpur Serums “Intensive Revitalizing Serum” and “Silky Hydrating Serum” contain CoEnzyme Q10, Micronized Pearl, Gotu Kola and other herbal extracts specifically developed for All Skin Types and All Skin Types/Sensitive skin respectively. Click here to read more information about the serum. The Truth About Moisturizers That Not Even The Experts Can Deny! As always, top-quality information. Your posts are truly amazing! Thanks! You’re welcome, enjoy the info on serums.